At Orange Coast Orthodontics, we offer Invisalign® for teens so that your teen can straighten his or her teeth without anyone noticing. If your teen wants to improve his or her teeth, this is an excellent way to do so. When evaluating Invisalign® vs. metal braces, there are several things that you should know. Patients throughout the Laguna Hills area frequently ask us about clear braces. Clear braces are another excellent alternative to traditional metal braces. As with Insalign®, it will be difficult for anyone to notice that your teen is wearing braces. When you schedule a consultation with Dr. Bobby Ghandehari, we will examine your teen’s teeth and take X-Rays. Once we have the necessary information, we will determine what the most effective treatment method will be for straightening your teen’s teeth. The term clear braces can also refer to traditional braces made out of a ceramic material that is tooth-colored. When getting clear braces, your teen’s teeth will be moved into the correct position as we monitor the progress and jaw. If your teen does have a misaligned jaw, as is common with an overbite, then that will need to be corrected as well. If left untreated, your teen will not have the perfect smile that he or she is looking for and will be at a greater risk for infection. At Orange Coast Orthodontics, we create customized treatment plans for the needs of each patient. With this in mind, we will provide the information you need in order to decide if clear braces are the best option for your teen. If you live in the local area, call (949) 860-1231 to schedule your consultation and ask about clear braces for Teens. The process for straightening teeth is fairly similar. When asking how Invisalign® is different for adults vs. teens, the answer is simple – it is not. Invisalign® straightens teeth by using a series of clear plastic aligners. These aligners look like a clear retainer and are nearly invisible so that no one will know that your teen is wearing them. Every two weeks or so, your teen switches out the aligners with a new one in the series.Each time your teen does so, the teeth move that much closer to becoming straight. We help teens and adults throughout the local area improve their smile. The first step is to ask questions about what the patient desires for a perfect smile. This is not small talk, but an important conversation. If for example, you teen plays a wind instrument in a band, wearing traditional metal braces may be extremely uncomfortable. 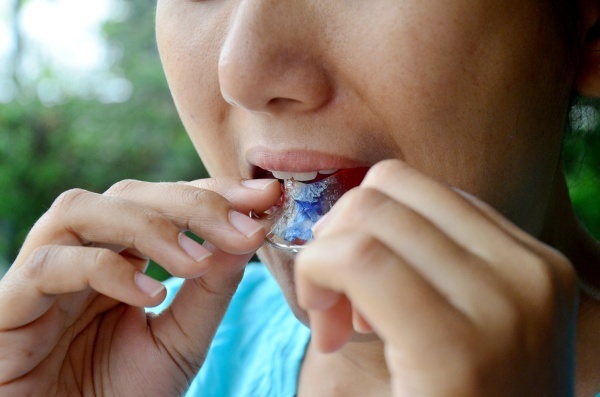 With Invisalign®, this is not an issue. Dr. Bobby Ghandehari understands your teen’s needs and is equipped to make the right treatment recommendation. At Orange Coast Orthodontics, we treat teens and adults, using Invisalign® to transform smiles. Perhaps the biggest difference between treating adults and teens is that teenagers have a lot more going on. While adults are busy with work and family obligations, there is little involvement in extracurricular activities similar to what teens participate in. Teens are usually busy running around and hanging out with friends. With this in mind, the aligner is removable and can be taken out. Both teens and adults do not have to let the aligner slow them down. The more the aligner is removed, the greater chance of a delay in treatment time slightly. Regardless of this factor, Invalign® will make it possible to have fun without worrying about your teen’s teeth. As an Invisalign® Orthodontist in Laguna Hills, California we understand that there are many advantages of Invisalign® compared to traditional braces. The main similarity between Invisalign® and metal braces is that both products straighten your teen’s teeth. 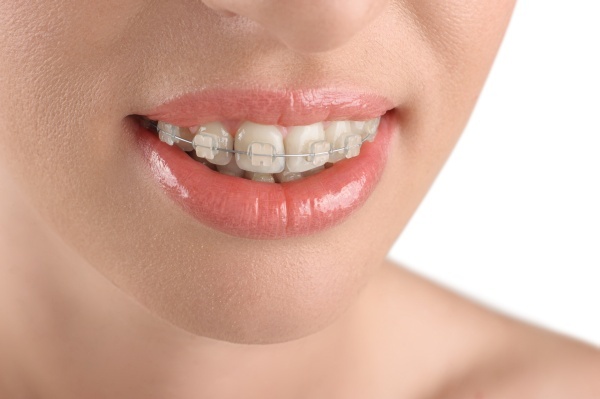 While there is nothing wrong with metal braces, alternative options can make life easier. When your teen wears braces, everyone can tell that your teen is straightening his or her teeth. Metal braces can also make it difficult to eat, brush teeth, play sports and play an instrument without feeling uncomfortable. Many teens are embarrassed to grab a hamburger for fear that the food will become stuck in braces and make them look funny. This is a legitimate fear, but with Invisalign® for teens your teen does not have to worry about it. Your teen can take the aligners out when eating, to limit the risk of food becoming stuck and the chance of becoming embarrassed. Dr. Bobby Ghandehari also recommends that patients take out their aligner when playing sports. The precaution allows teens to play without worrying about the aligner coming loose or feeling a need to protect his or her teeth. At Orange Coast Orthodontics, we also suggest that patients take out their aligner when playing an instrument, singing in the choir or other activities where it could cause discomfort. The advantage of Invisalign®, compared to traditional braces, is that your teen does not have to slow down. Your teen can straighten his or her teeth and still hang out with friends, smile boldly in pictures and eat all of his or her favorite foods. 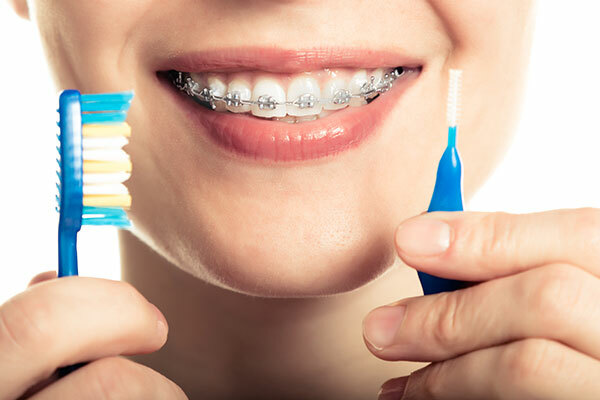 When your teen wears traditional braces, he or she has to think about the teeth constantly. With Invisalign®, your teen has the freedom to enjoy life and live it without restriction. Teens in Laguna Hills have enough things to worry about, their teeth should not be one of them. For more information on Invisalign® Teen or to schedule a consultation, call 949-860-1231. Call today so you can have a beautiful smile tomorrow.